Home » Posts Tagged "Thief"
To make the ultimate burglarproof home is almost impossible. 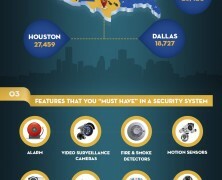 Burglars will always use advanced technologies that can break even the most sophisticated security systems. However, CCTV can thwart them from plundering you property. 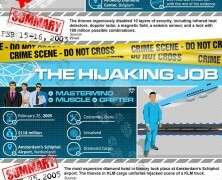 On this nifty infographic you will find information about 8 of the latest and greatest diamond heists. The much desired gemstones have driven thieves to do crazy things to get them. See the skills and methods that made up these crime scenes.